Angela is a current Doctoral Student in Information Technology and currently the Director of Vendor Risk and Compliance Services for Lynx Technology Partners where her expertise in the management and implementation of Third Party Risk Management Programs is being utilized in assisting Lynx’s customers who seek Vendor Risk Management and Compliance as a service. Angela has spent the last 15 years working in the financial services industry and is no stranger to organizations who create standardized control frameworks such as the Cloud Security Alliance and The Shared Assessments Program for she is currently a member of the CSA-CCM working group where she has assisted in efforts to further enhance the CCM for the past 3 years. Angela is also a Shared Assessments Program Steering Committee Member and Chair of the Standardized Control Assessment (SCA) Committee. She also previously served as Sr. Project Manager for the Santa Fe Group. 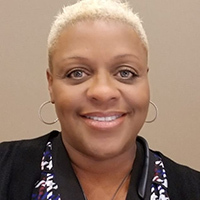 In her role, she was responsible for facilitating the Program’s Tool Development Committees as well as provided key research, content and direction for the creation of the program’s two certification programs as well as briefing papers on vendor risk management best practices. Prior to being a Santa Fe Group staff member, Angela server as Vendor Auditor for Resurgent Capital Services. During her tenure, her responsibilities included the adoption of the Shared Assessment Program and implementation of the use of the Program’s Tools in the company’s Vendor Risk Management Program and Due Diligence process. Angela has a vast array of knowledge in cybersecurity, vendor risk management and executive level client relations. Her expertise in the implementation and execution of third-party risk management programs has kept the Shared Assessments Program at the cutting edge of the industry’s best practices. Cybersecurity Careers: Is There More Than IT?